High latitudes are warming fast. That is, places like Alaska, Greenland, and Antarctica are warming, on average, twice as fast as the tropics or even the mid-latitudes, where most of us live. In the summer of 2015, I was lucky enough to spend two months in Alaska through the Juneau Icefield Research Program traversing the Juneau Icefield, from Juneau, Alaska to Atlin, British Columbia. 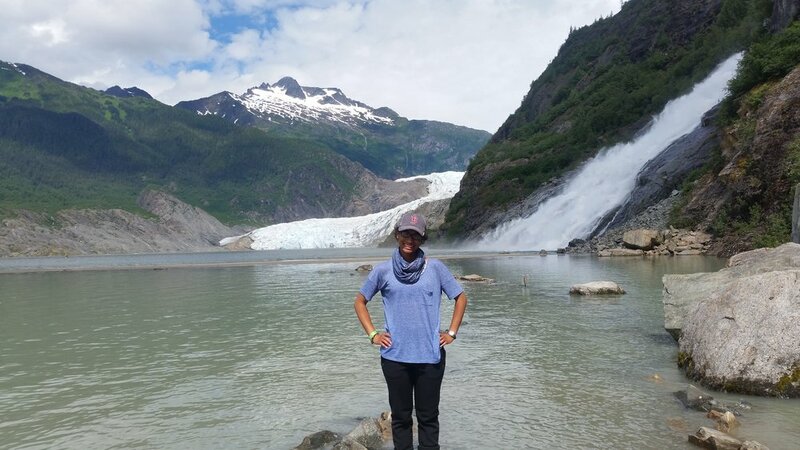 My time in Alaska allowed me to gain a sense of what field work in cold regions is like, but most importantly, it opened my eyes to the raw realities of climate change. As I prepared for my trip, which was to take place during the summer months, I kept hearing about the record warm temperatures Alaska was experiencing in May. The average temperature in Juneau during May 2015 reached 54.1·°F breaking the 2005 record of 52.7°F, according to the AK Climate Center. On top of having record warm spring temperatures, snowfall observed across the massive state was 21% below the 30-year average (1981-2010). Observed snowfall in Juneau was 18.5 inches less than any other winter during 1981 - 2010. I wondered what this would mean for my trip. Places along the Icefield where there is typically new snow pack, only had the previous year’s snowfall that had become packed down (blue ice) exposed. 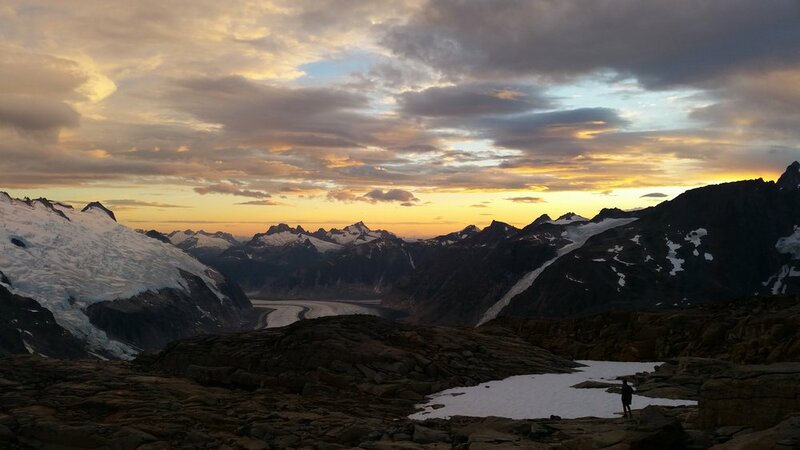 This meant places that could be skied in the past, now required crampons to pass (crampons are metal plates with spikes that are fixed to your shoes in order to walk across ice). Some of our traverses became longer because we had to stop and transition from skis, to crampons, and back. While, it is hard to attribute one low snow season or warm season to climate change, as particular regions continue to be warmer than average or drier (or wetter) than normal, it becomes easier for scientists to attribute the trend to climate change. While my traverse across the Juneau Icefield may have become more challenging because of conditions present that particular winter and summer, the challenges we faced didn’t hold a match to challenges faced by people living in these communities. Changes to the amount of snowpack available during melt season, or to the timing of melt, will disrupt the ecosystem balance in Alaska having a lasting impact on the way people live in and around these regions. I embarked on this field campaign excited to learn about data collection but returned discouraged by the story the data was telling. Faculty in the program had pictures and stories about when the glaciers were more far-reaching from just 20+ years ago when they first made the traverse. Even one of the visitor centers, with its expansive windows to overlook the Mendenhall Glacier, now mostly overlooks the Mendenhall Lake as the glacier has retreated out from view. My time on the Juneau Icefield was a turning point for my career and opened my eyes to the realities of climate change. I was disheartened by all of this but felt, and still feel, empowered to make a difference. This realization led me to pursue a career in which I can use my research skills to study the impact of climate change. The following year I enrolled in graduate school at Stony Brook University to do just that.